Heyo lacquer lovers! Exciting news! 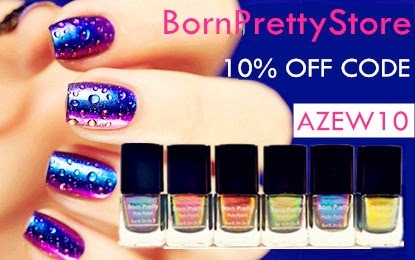 Today I have a fantastic set of nail art brushes from Born Pretty to review for you! Of course I had some nail art brushes from before from Bundle Monster, but I've had them for nearly two years and they just were no longer standing up to the test of time (heads detaching bristles fraying and falling etc)..therefore I was very excited to spot this super fine (literally) set of nail art brushes on Born Pretty. The first thing that drew me to this set other than it's amazing price ($3.87 for five nail art brushes!!!) was the fact that the the tips are so fine and therefore I imagine a lot of intricate work that I could accomplish with this set. So here comes the review :) Enjoy!! 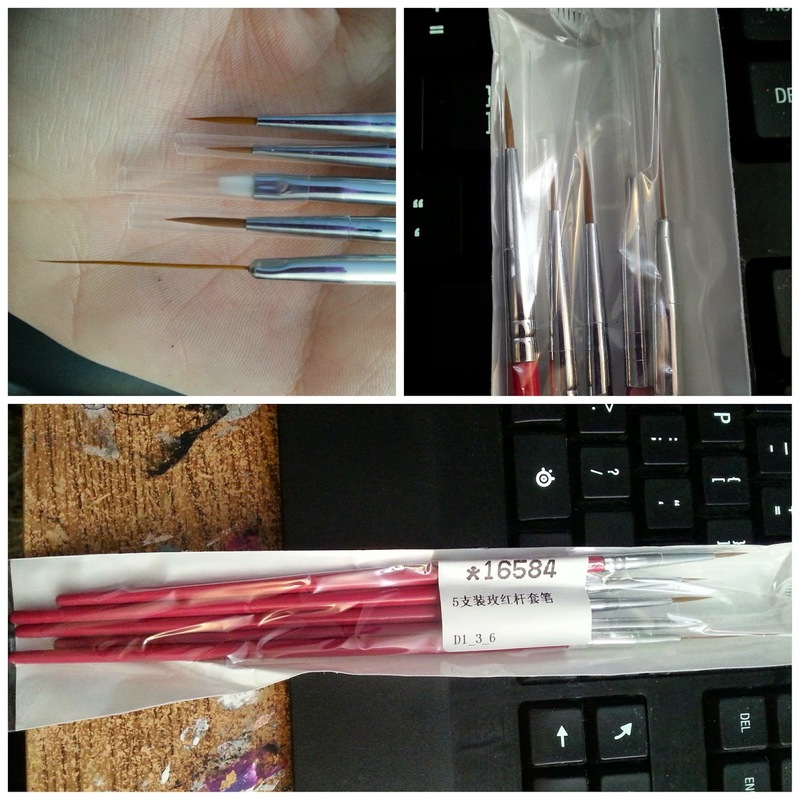 So the above photos are when the brushes just arrived in/ just out of package. They do not have a case of their own but this to me is not an issue because I have a setup for all my nail art stuff and I just keep them in the bag with my other horde of goodies. 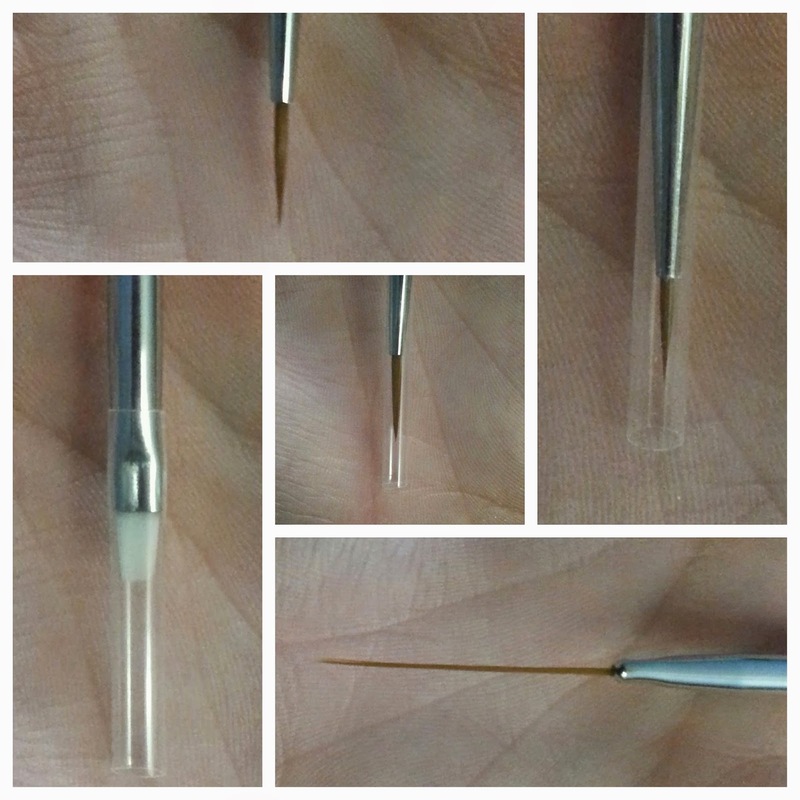 The super fine tips are protected by plastic caps so that the bristles were not damaged during transit and so they stay fresh during storage. The first thing that I noticed was that the bristles are not too soft but not too stiff, perfect for nail art. You can apply enough pressure behind your strokes to get the details you are after without pulling the polish off the nail. The bristle length is good and not difficult to maneuver or clean, you can get super good control over your art with these brushes. Another key factor in liking these brushes for me was that they don't shed bristles (yay!) and upon arrival and throughout the first few uses none of the metal heads have come unglued from the handles!! I know this doesn't seem like a lot to ask, but I had a serious issue with this using my last set of nail art brushes so I was happy that it doesn't seem to be an issue this time around. Next I wanted to get you guys some close up pics of the brush heads so you can see detail of how fine they are. These photos are straight out of the package, the photos in the collage below are after the first use. The only thing I could say is that because I used black on white bristles for the flat brush I got a bit of staining on the bristles, but it has not affected their functionality and it is just staining, there is no black that comes off in other colors so frankly I'm not bothered by a little bristle staining. I tried to exhibit how fine and controlled of lines you can create with these brushes in a simple black and white patterned nail art. 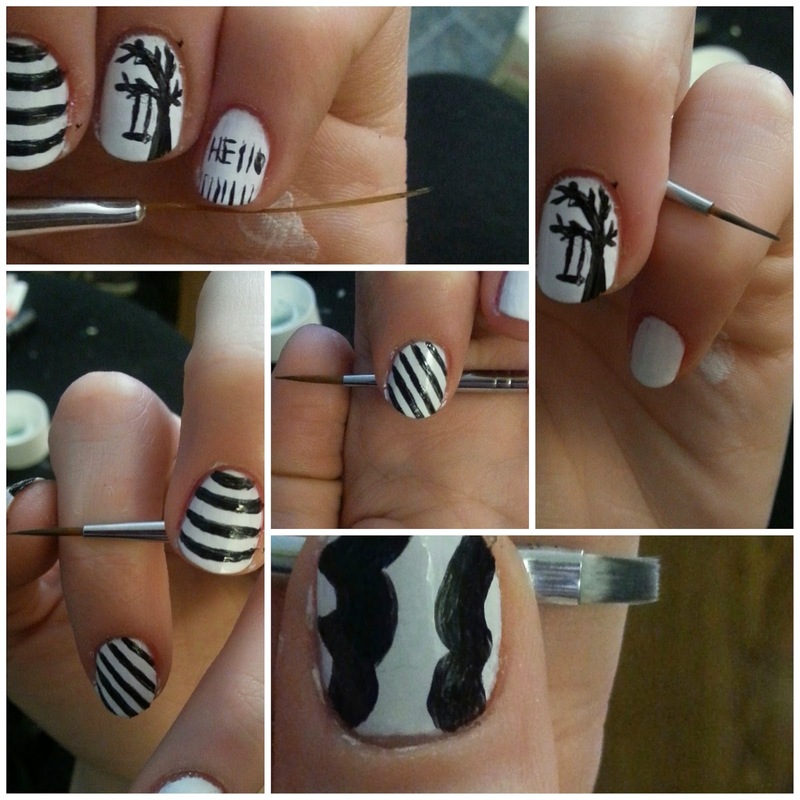 This nail art has no particular theme, it was purely designed to show a stark contrast between the work accomplished with the nail art brushes and the background. Creating these lines and details took little to no time and effort as the brushes are extremely easy to work with, I would highly recommend them to nail artists of all skill levels, with their price point you can't really go wrong. Until next time Lacquer lovers!